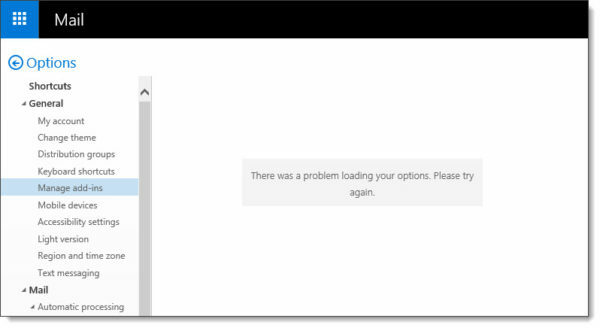 When upgrading to Exchange 2016 you may receive the errors, “There was a problem loading your options” & “Exchange Server doesn’t support the requested version”. Both of these errors are centered around the add-ins feature. First introduced in Exchange 2013, add-ins are apps that you can globally distribute to all your Outlook clients, whether they be the full Outlook client, Outlook Web App, or, Outlook for iOS and Android. Add-ins include features such as Bing Maps, which will identify an address in an email and automatically load a web-part displaying a map. Or, simply the ability to identify action items within an email. Exchange ships with a few add-ins out of the box. 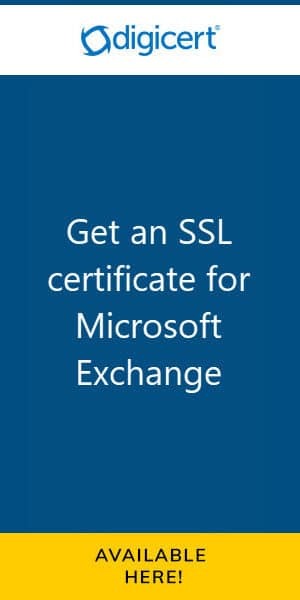 Additional add-ins can be downloaded through the Microsoft store or uploaded via a custom XML file. The real beauty of an add-in is that you can centrally manage it via the Exchange Admin Center. 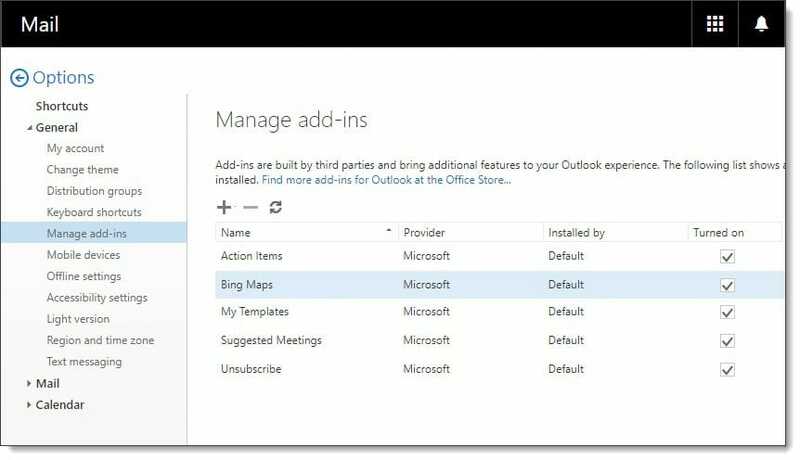 Much easier than deploying Outlook add-ins with traditional endpoint management software. Plus it ensures everyone is always using the latest version of an app. While in coexistence with an older version of Exchange your users may receive the error “There was a problem loading your options”. They receive this error when trying to manage their add-ins via Outlook Web App. This error prevents the users from seeing or managing their add-ins. Similarly, if the user selects the settings (” “) button in the top-right of the screen and selects Manage Add-Ins they will get a blank page. 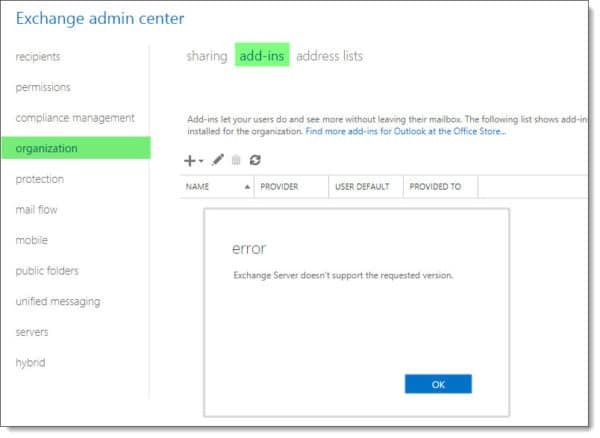 As an administrator, you may also see the error, “Exchange Server doesn’t support the requested version” when you navigate to Organization > Add-ins in the Exchange Admin Center. This error is also duplicated if you open the user’s Exchange Control Panel as the administrator. The fix for this one is quite simple. This issue arises when the arbitration mailboxes are still located on an earlier version of Exchange. To fix this issue we simply need to move the arbitration mailboxes to Exchange 2016. To find arbitration mailboxes open Exchange Management Shell and run the command Get-Mailbox with the Arbitration switch. From this output, we can see all of our arbitration mailboxes are on a server identified as EX13-01. This server is an older Exchange 2013 server. C:\> Get-Mailbox -Arbitration | New-MoveRequest -TargetDatabase "New 2016 DB"
To target arbitration mailboxes on a specific database we can include that in our Get-Mailbox command. C:\> Get-Mailbox -Database "Old 2013 DB" -Arbitration | New-MoveRequest -TargetDatabase "New 2016 DB"
You can monitor the move requests by running Get-MoveRequest and optionally pipe it into Get-MoveRequestStatistics. Once all move requests are complete you can verify which server the arbitration mailboxes are located on by rerunning the Get-Mailbox -Arbitration command. 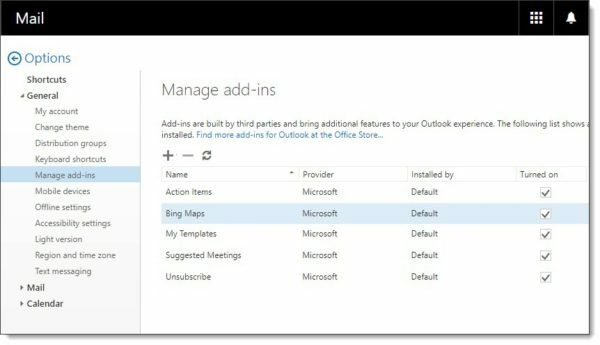 If you successfully moved your arbitration mailboxes to the latest version of Exchange your users should now be able to see and manage their add-ins via Outlook Web App. Have you seen this issue before? What did you do to fix it? Drop a comment below or come join the conversation on Twitter @SuperTekBoy.